As I using the new digimode JS8Call, I would like to know if Cqrlog plan on this mode addition ? At the moment Adif don't yet reconize the JS8, probably because it's still in pre-release at this moment. This mode seems growing up slowly but surely and at this time as I can't use Data (not find in the mode list) I don't know the right way to declare the contact I've established. So as it starts as FT8Call and as I've began to log with "FT8" I will be interested if a kind of automatic log integration would have been possible in the nearest future like in JT9, JT65, FT8. The QSO could be from 2mn till 50mn in my case, and it seems there is not really "start key" and "final keys" as we can find in FT8 with CQ & 73 and I had them manually. So regarding the other OM habits, how do you log your JS8 QSO's when Data Mode is not avaliable ? How do you proceed to digitally record your JS8 QSO's ? I deeply apologize if such question already exist or if I'm in wrong forum's section, I'm really curious to learn more about this point. Enjoy all your day/evening ! You can set "user digital modes" (comma separated) from preferences. Then you can manually record your qsos with right mode. Jsi udp api seems now to be jsonrpc but they warn that it might change to http or xmlrpc. So there is no mind to develop interface for it until it is sure that they will keep it without change. My opinion is that they should either use similar xmlrpc format as fldigi, or similar udp messaging that wsjtx uses. That way the interface would be ready in cqrlog ( and also other loggers that now support fldigi or wsjtx). Untill that either manual logging or importing js8 adif files is the way. I'm warmly thank you for this nice detailed answer. How to add a submode ? The ADIF Comitee (3.0.9 Part III B10) has statued on JS8Call QSO records. So i've exported the Adif files from CQRLOG (2.3.0) and opened it with a text editor. The QSO are already recorded in MFSK Mode. So with editor text using function "search and replace", < MODE:4 >MFSK is selected and replaced with < MODE:4 >MFSK < SUBMODE:3 >JS8. But when the modified files is re-imported in CQRLOG the < SUBMODE:3 >JS8 is cleaned. Only < MODE:4 >MFSK stays. So how could I add a submode in the CQRLOG adif files ? Note: it's writen without the spaces, they're added here to allow the publication in the post without being detected as HTML code. submode function is not yet implemented in cqrlog. - cqrlog uses internally only mode. - in the modes-array variable there are submodes and modes mixed (MFSK16 is implemented as mode, but it is a submode). think that has to be discussed between the developer and decided by the main developer. Thank you Andreas DL7OAP for your answer. As you've mentioned, it will be safer to wait the discussion between the main developers. and manually upload to all the logbooks. 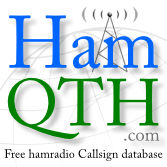 On the webpage of OH1KH is a new beta version which now can connect to JS8Call (via N1MM protocol) and which have also the LOTW ADIF fix. i did a few JS8 qsos in the last days and allready uploaded successfully this qsos to lotw. Many thanks for this nice news Andreas DL7OAP ! Hope to meet you on JS8.